Billionaire Manolo del Guardo has been dumped -- by his nanny. He needs someone to care for his six-month-old daughter...fast! Ariane Celeste is a Sydney TV reporter sent to interview the rags-to-riches tycoon,and she's surprised to find out that he's also a devoted father...in a bind! 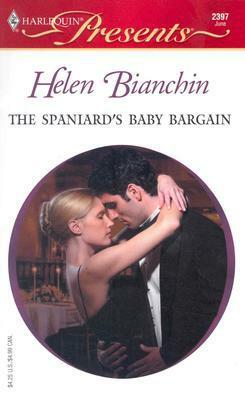 Ariane is persuaded to look after the baby... temporarily.But Manolo wants to keep Ariane -- not just in the nursery,but also in the bedroom. So he wastes no time in proposing a new bargain: that Ariane take over permanently -- as his wife!